Professional event lighting is an art. Among design elements, it is in the top echelon of those that can completely transform a space, elevating everyday events to extraordinary levels. When you have clients who are looking for a major visual impact, lighting installations are the way go. Event lighting comes in many different forms. It can be as simple as candles on guest tables, luminaria lining pathways, or lanterns hanging from shepherd’s hooks down a ceremony aisle. Simple lighting installations might start with votives in jars swaying gently from the branches of a tree or mounds of pillar candles creating a focal point. When you introduce technology to the mix, the options are even more eclectic and elaborate. 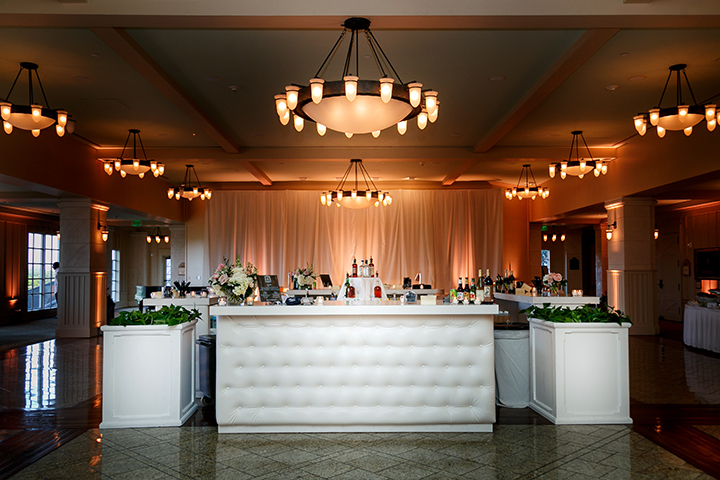 Installing chandeliers in ballrooms and under tents is particularly on-trend currently. There are so many different fixtures available that you can complement nearly any design with them. You can even mix and match styles. 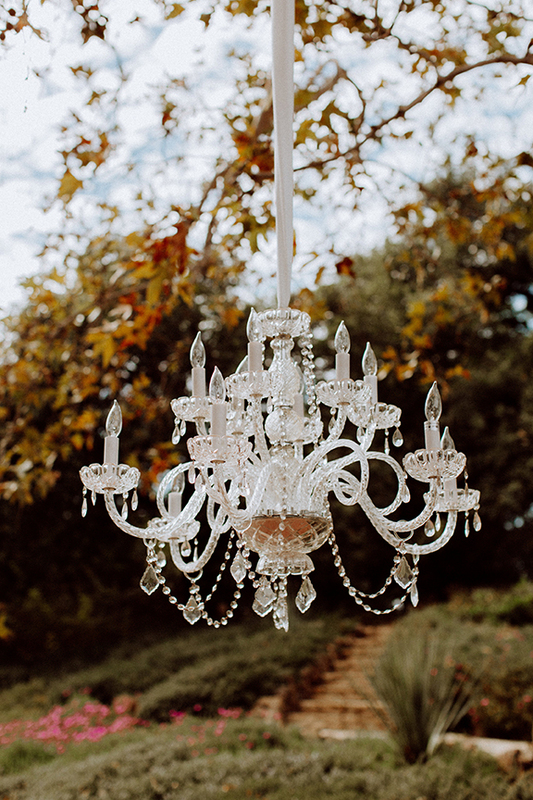 Whether you are aiming for an edgy, industrial feel, or a purely romantic formal ballroom dripping with crystals, installing chandeliers adds character and drama to any scene. The catering + events show of the year is back! James Beard Award winners, TED style keynotes, influencers galore, and food for days. See all that’s in store here! Of course, chandeliers aren’t new to events. Incorporating them into elaborate installations amidst draped greenery and blooming formals is a twist on the classic look that has risen to popularity recently. Hanging installations, in general, will continue to appeal, and will evolve as designers explore different ways of adding a new dimension to events. One interesting addition to lighting options for the upcoming season is increasingly popular neon signage. Lighted marquee signage has been popular recently, but this year neon stands to edge it out a bit. It has become more affordable and accessible recently, and wedding couples in particular are attracted like moths to neon flames! One reason lighting has become so popular in the event world over the past several years is that the technology behind it has become more sophisticated, while simultaneously more user-friendly. There are simple apps, now, that allow you to control lighting equipment from your phone. Digital mapping technology is rapidly becoming the domain of a variety of professionals including rental companies and DJs with projection possible in almost any space, at almost any scale. It’s no longer reserved for the top tech-savvy. We have a world of lighting possibilities literally at our fingertips. Elevating your events overall takes skill and inspiration, yet it can be as easy as incorporating the latest lighting technology into your next design. Explore your options, try something new, and prepare to wow your clients with lighting installations at your upcoming events. Kevin Dennis is the editor of WeddingIQ and the owner of Fantasy Sound Event Services, a full-service event company based in Livermore, California. Dennis is the past president for Silicon Valley NACE, and national vice president for WIPA.